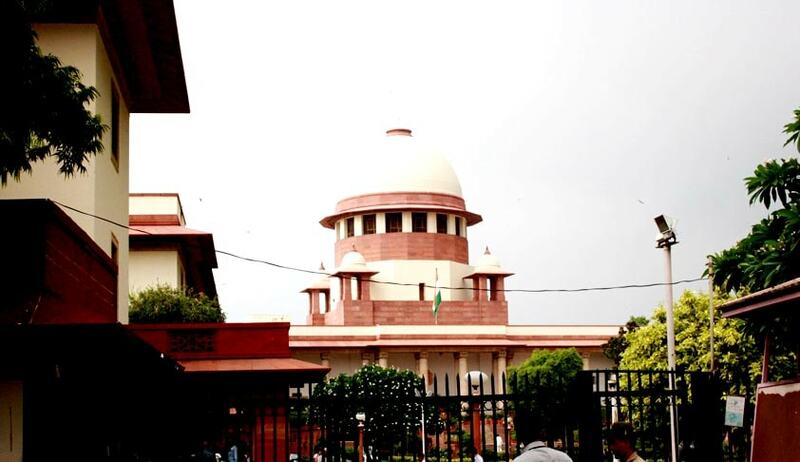 The Supreme Court has directed all the State Bar Councils to take necessary steps and to conclude all ‘verification ‘proceedings by 30.06.2016 and send a reply to the Bar Council of India. 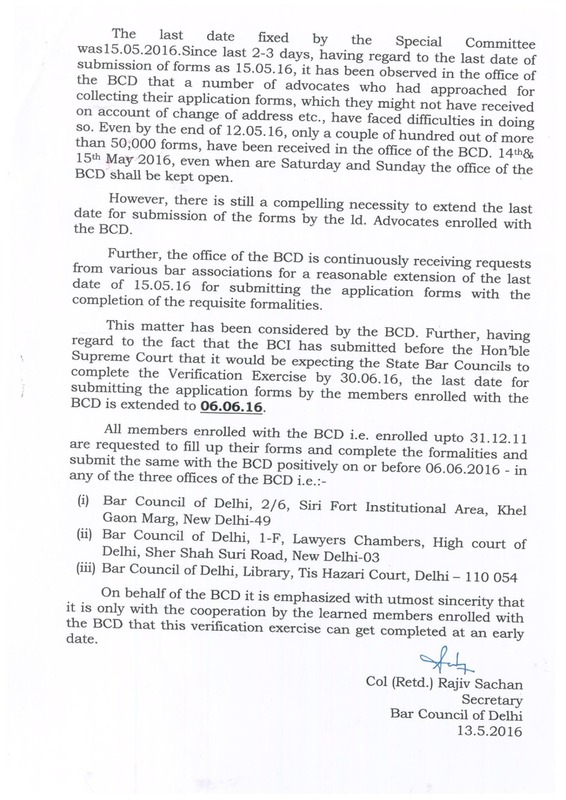 In a related development, the Bar Council of Delhi has extended the last date for submitting Verification forms by the members to 6th June 2016. 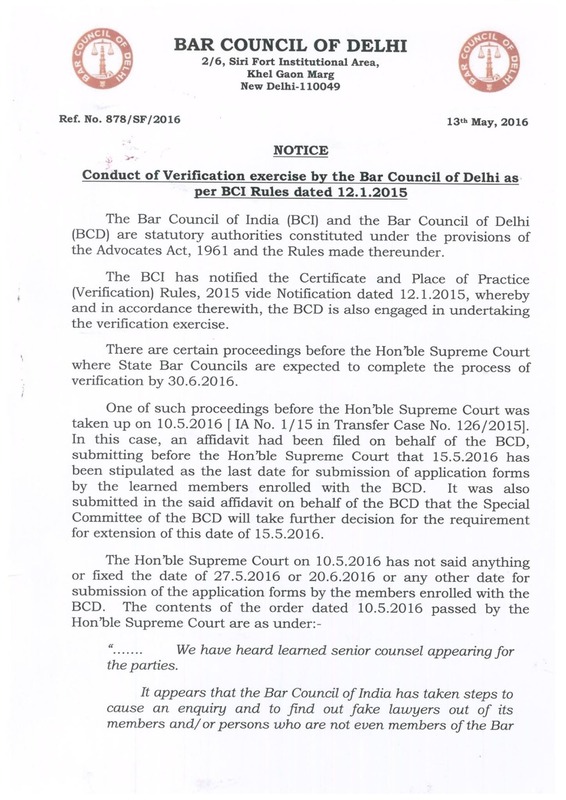 This extension is in regard to the requests from various bar associations for a reasonable extension of the last date of 15.05.2016 for submitting the application forms with the completing of requisite formalities. 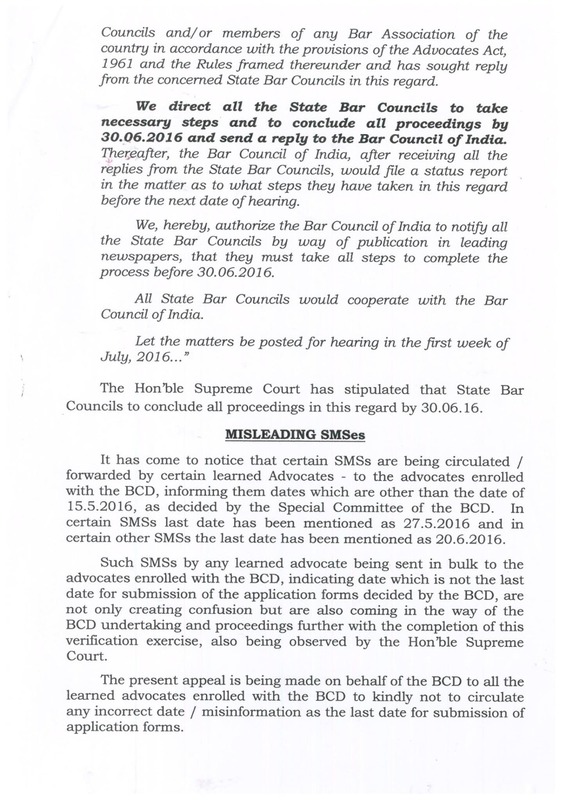 The Council, noticing that certain SMSes are being circulated saying that the last date has been extended up to 20.6.2016, requested the members to not circulate such misinformation.